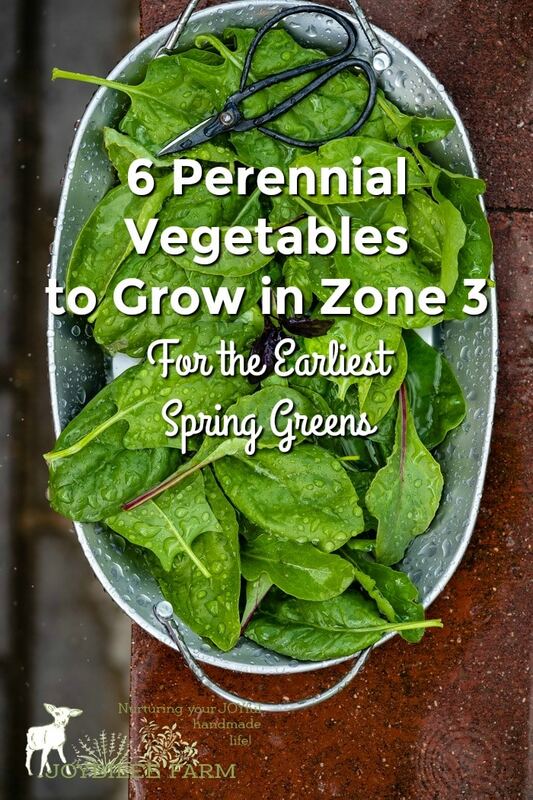 Grow these easy perennial vegetables for fresh greens early in spring with no work, even if you live in zone 3. 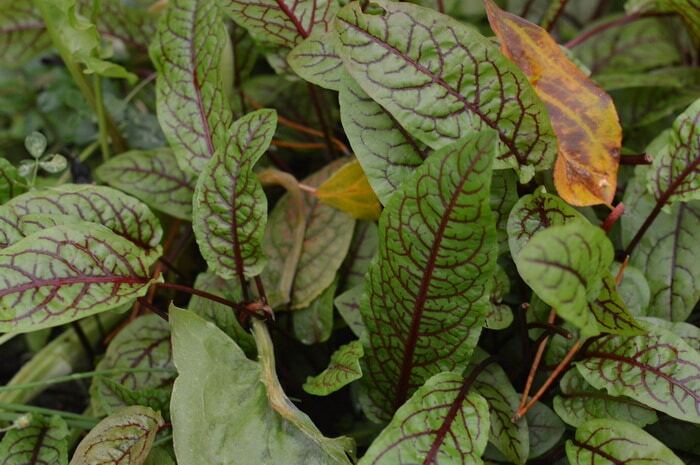 When English sorrel, French sorrel, Red veined sorrel, Yellow dock, and Good King Henry are in your garden or perennial bed you’ll be well supplied with young spring leaves and flower shoots for salads, soups, egg, and potato dishes. These are the plant-them-once and harvest for years kinds of vegetables. You’ll want them in your garden. Perennial vegetables are just a little more work at getting established than annual vegetables. Related to their annual cousins, these perennials, once established will give you years worth of spring harvests, while you are waiting for your annual seeds to get going in cool spring soils. Plus once the annual greens are closing down because of summer heat, these perennials will send out another flush of new leaves for more tender salad greens. Preserve them in all the ways you’d preserve kale and spinach for winter eating. The flavor is more intense thanks to their well established root system. 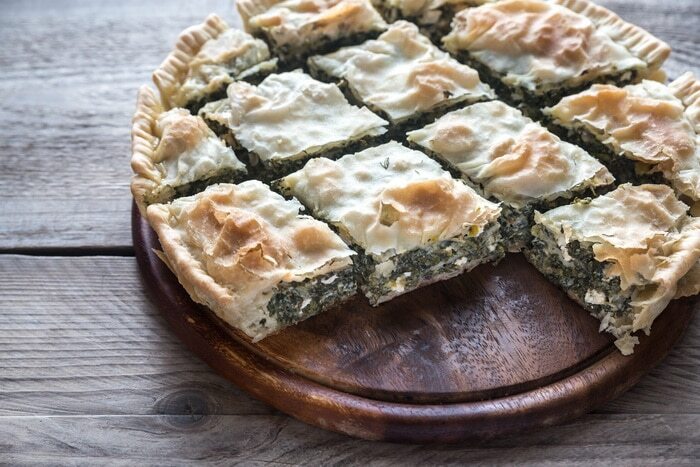 With lemony sorrel and spinach-like good king Henry pairing well in savory dishes like quiche. 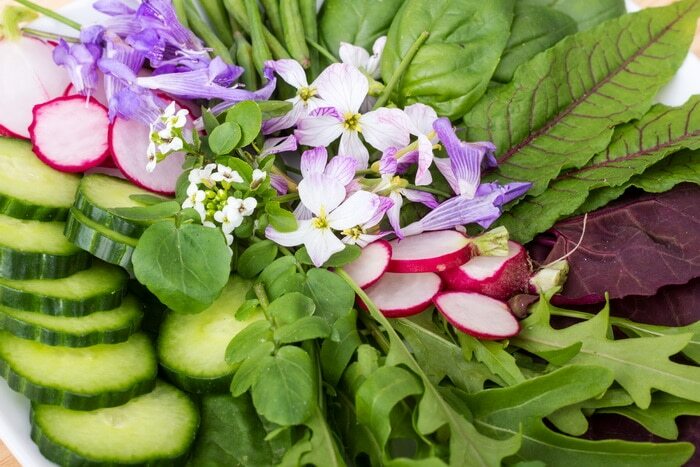 These perennial vegetables don’t require full sun to produce, so if you’ve got a neglected shady spot or an area that has less than 5 hours of sunlight a day, create a perennial vegetable bed and invite these 6 perennial vegetables home. Sea Kale is a handsome 24 x 24-inch plant with a mild, nutty cabbage flavor. 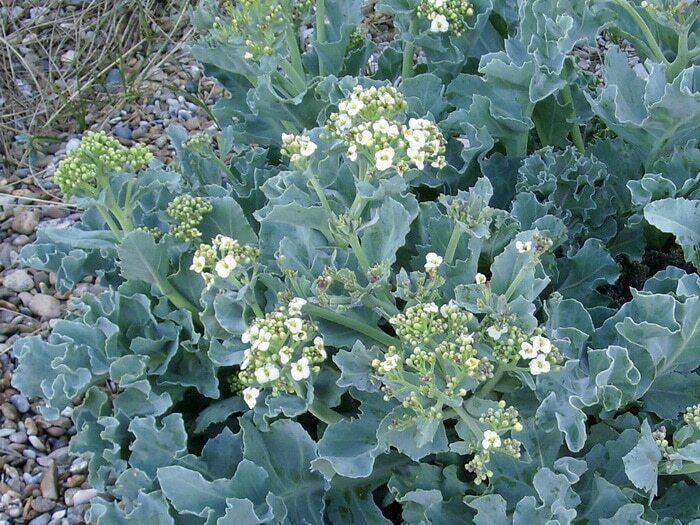 It develops a set of large ruffled, succulent powdery blue leaves. Young leaves are useful in salads, while larger leaves are sauteed, steamed or boiled until tender. But be gentle harvesting leaves. The plant is slow growing. The flower buds are harvested as they emerge and cooked much like broccoli. Generally leaves are left to nourish the plant roots. Sow seeds at 59°F in spring or autumn. The seed is notable for its corky outer coat which allows it to float at sea. Soak seeds 8 to 24 hours and then remove outer seed casing to speed up germination. Transplant into containers as soon as plants can be handled. Plant into the garden when plants are at least 2” to 3” tall. Considered drought tolerant. Sorrel is a good plant for those partial shady areas of your garden. The leaves are used for their lemony flavor in soups and salads. Young spring leaves are tender enough to eat raw. Regular picking ensures the supply through early summer. It is less weedy than dock, though closely related. 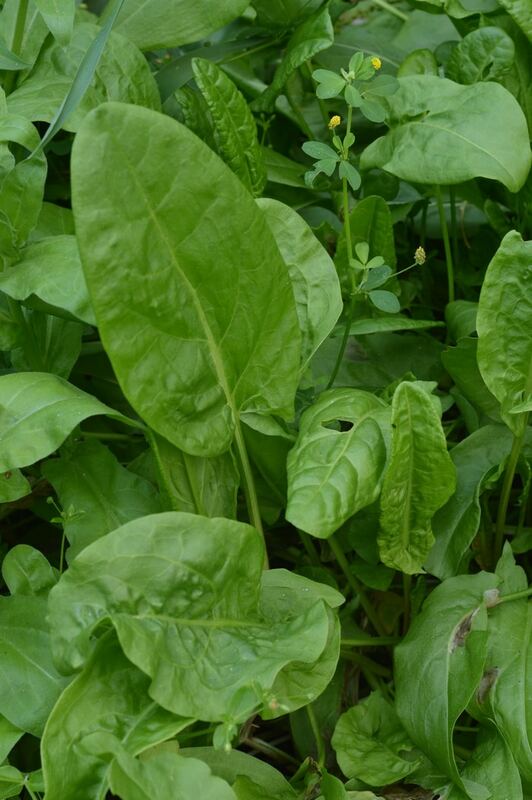 The leaves of English sorrel are more spoon shaped than it’s close relative, French sorrel. Water requirements: drought tolerant once established. Spacing: prefers disturbed soil. Seeds can remain viable for decades. 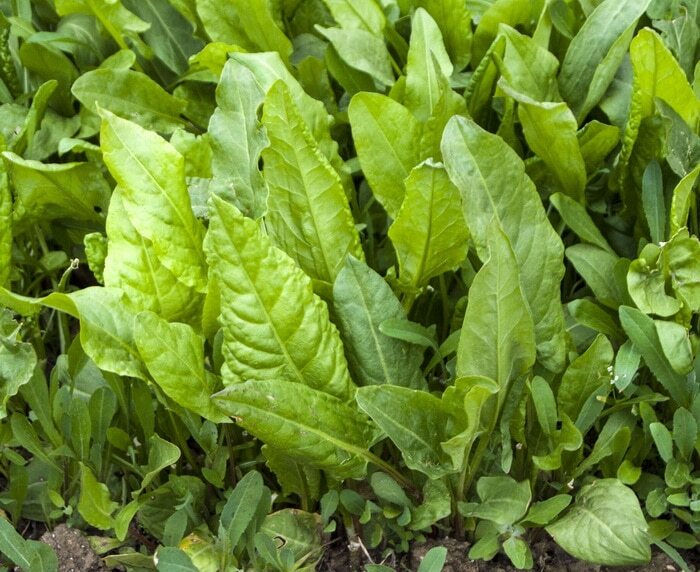 The leaves of French sorrel are more arrow shaped than its English cousin. But the growing requirements are similar. This is grown much like R. acetosa but is lower in oxalic acid content. The leaves are arrow shaped. 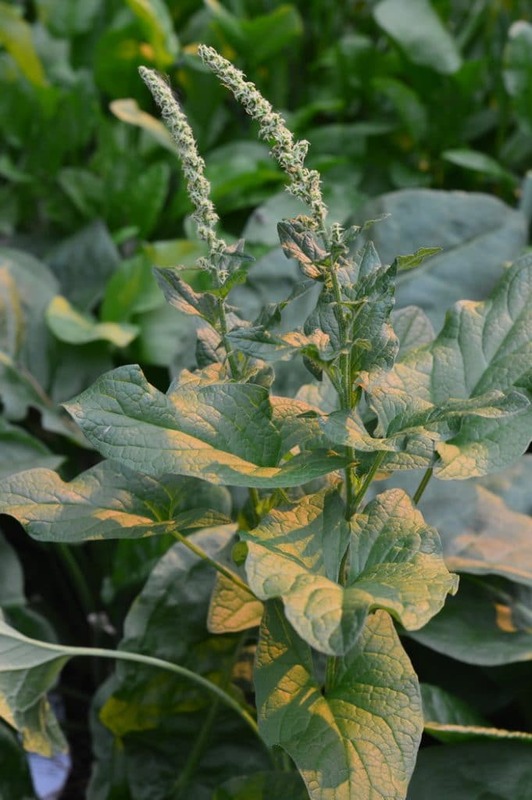 The plant is frequently called Butter Dock, because its cool leaves were often used in the country for wrapping up butter to take to the market. The leaves are high in phosphorus, potassium, calcium, and iron. 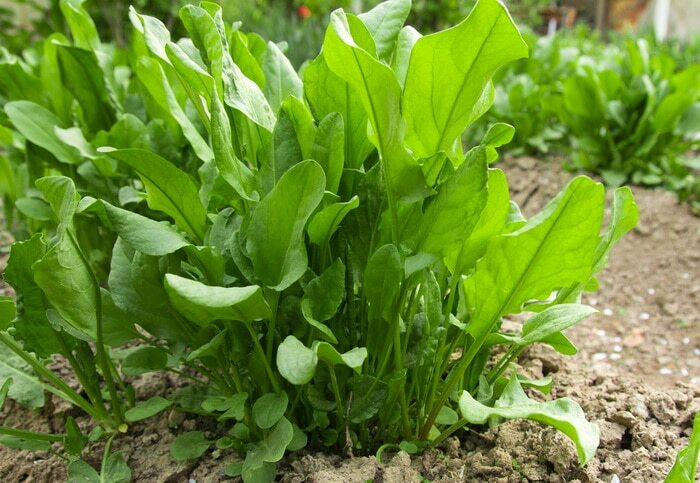 Eat the young leaves in salad or cook like spinach. Historically used as a laxative, the plant has an abundance of oxalic acid, which is reduced when it is cooked. [source] The plant was traditionally used as a general tonic, to treat anemia along with stinging nettles,. It is anti-inflammatory, antimicrobial, and antifungal. An infusion of the roots has been used to treat althetes foot. Yellow dock is considered the more weedy relative of English and French sorrel. It grows abundantly in neglected pastures, so you might already have it growing near you. You’ll recognize it because the edges of the leaves seem to curl toward the back, leading to its folk name, “Curly dock”. The leaves can be lighter in color than other rumex plants, leading to another common name, “Yellow dock”. The leaves and roots are used in herbal medicine. Botanical name: Rumex obtusifolius; R. crispus, R. acetosella. 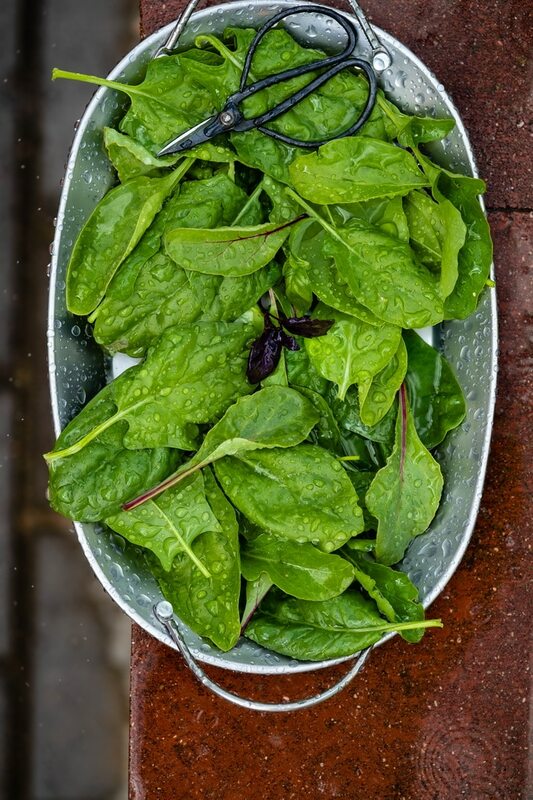 The leaves of Good King Henry are eaten fresh or lightly steamed like spinach. It is botanically related to spinach. Also called, poor man’s asparagus, the spring harvest of new shoots lasts for up to 3 months and is one of the first to arrive. The plants can be forced like rhubarb for longer, more tender shoots. Before harvesting, let the first 2 to 3 shoots grow to maturity to set a solid root system for the next year. GKH can be difficult to germinate from seed. Cold stratify the seed in a 5 to 6 inch deep undivided flat outdoors for 12 weeks to break dormancy. Start the planting in mid-January, then bring the flat indoors to germinate. You can also try 10 weeks in the fridge in Perlite or sand, then put the tray under lights. This is also called “Bloody dock” for it’s red veined leaves. It is an attractive addition to the flower garden. The young leaves have the same lemony flavor as other sorrels. The plant gets tougher and more leathery as the season wears on.This grows well in containers or in flower beds. The foliage is bright green with red veins and stems. 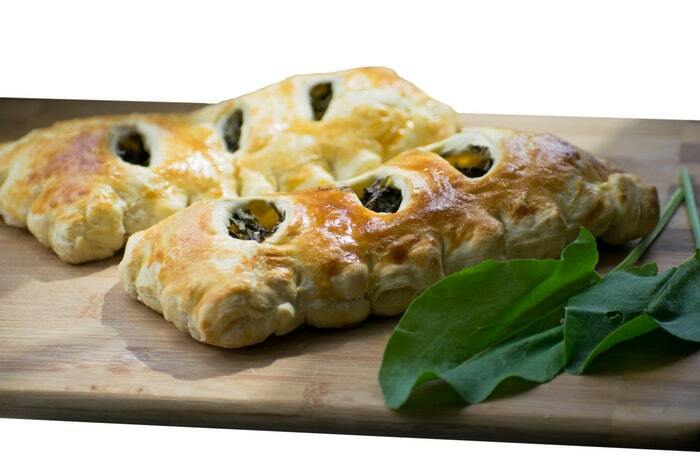 It has a sharp, tangy flavor and new leaves are used raw in salads or mature leaves as a steamed vegetable like spinach. Spacing: 12 to 18 inches. Days to harvest: 40 days for tender leaves, 55 days to maturity. While you are waiting for those first spinach leaves to grow large enough to harvest, perennial vegetables are already leafing out and offering greens for the borscht pot or stew pot. Many perennial greens are used for their early flowering stocks much like asparagus. These are easy to grow and you’ll get some leaves to harvest in their first year. But it’s in the second year that they put on good growth. Give them an area to themselves and allow at least 18 inches between plants so they can develop strong root systems. Mulch in the spring and renew the mulch in the fall if you live where winters are harsh. These are usually listed as hardy to zone 4 to 8. But you might get by in zone 3 if you get reliable snow cover. Plan to renew the bed every 3 years by dividing plants, or setting out new seedlings between older plants. Ms. Tucker proposes that perennial plants are more resilient than traditional annual vegetables. They are hardy and rely less on chemical agriculture inputs. Plus they are less work for the gardening. These plant once and harvest for years vegetables are also in many ways more nutritious than annual crops as their well established root systems mine the minerals in the soil from deep down. Tucker inspires action by first laying the groundwork for tending an organic, regenerative garden. She highlights the 10 steps she recommends gardeners take to help perennial foods thrive. But most of the book is dedicated to profiles of popular perennial herbs, fruit, and vegetables, with explicit instructions on how to plant, grow, and harvest them. Tucker also offers suggestions on how to store and preserve perennials. The book is a new release. Get it now.